Spring and summer are coming up, and for lots of families, that means vacation season. Whether you’re bringing the kids or taking an adults-only trip, staying healthy while not at home can be a challenge. Not to mention the effects that long plane rides can have on your body. Check out these healthy travel tips to ensure the best vacation you can have. Plane rides can be stressful – the security lines, the potential for germs, and the dehydration you experience while in the air can all make flying a less-than-enjoyable experience. Wipe down seats and surfaces with cleansing cloths to kill any lingering germs. Be sure to bring or purchase plenty of water to drink during the trip; the air inside an airplane is much drier and can dehydrate you and your skin. For an extra skin boost, bring lotion or an under-eye mask to moisturize your hands and face. When on vacation, chances are you’re spending most of your day outside of your hotel room or local residence. For healthy snacks on the go, pack plenty of granola bars or fruit to munch between meals. Trail mix, bananas, and apples are a convenient and portable solution. We understand that part of vacationing means eating out at restaurants—but a home-cooked meal is likely to be healthier and less expensive than a prepared one. Take a trip to the closest grocery store at the beginning of your trip and pick up some items for the week. Breakfast and lunch are likely the easiest options; cooking these at your place of lodging will save money and calories. It’s possible that your vacation will include some sightseeing. Whether you’re staying in Europe, another state, or a tropical island, there is more opportunity for light exercise than you may think. Sightseeing may require some public transportation, but if you can walk around to different spots, you can add exercise into your day. Hikes and bike rides are a great option for getting active and spending time with your travel companions. If you’re in a beach location, try swimming, check out the hotel gym or get a day pass to a local gym to get your workout in. Depending on the type of trip you’re taking, you may be inclined to be out all day (and sometimes, night) to take in all you can while you’re there. It’s important to get a good night’s sleep to set you up for each day and keep your body and mind in top shape. Keep your room very dark to get the best night’s sleep you can. It’s not a bad idea to have a little kit filled with emergency items for your day-to-day travels. Tissues, hand sanitizer, small snacks, and sunscreen are some options you may find handy. If you use it in your daily life at home, you should consider packing it for your trip and keeping it with you. Vacations are fun but travelling isn’t always the most comfortable. 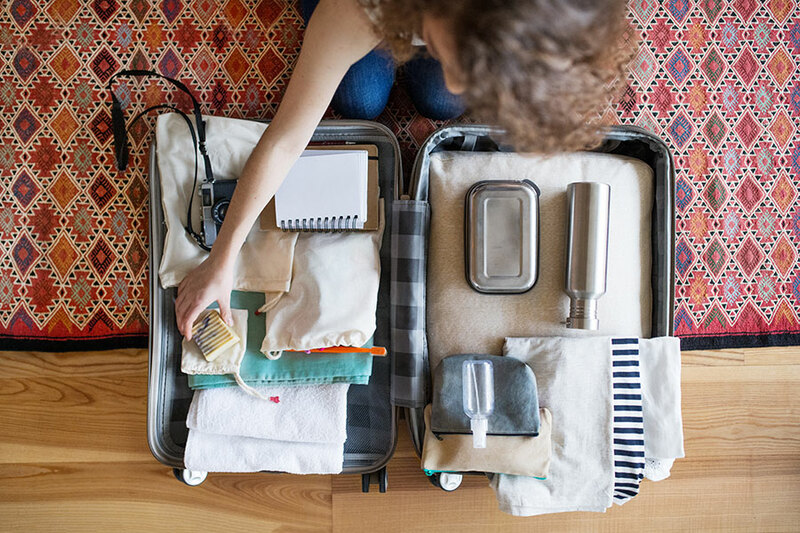 Use these tips to make your trip just a bit healthier. For more vacation ideas, check out the Five Ways to Make the Most of your Vacation blog. Imagine that you are out doing some holiday shopping and you see a travel mug that you think might be a good gift for a friend.